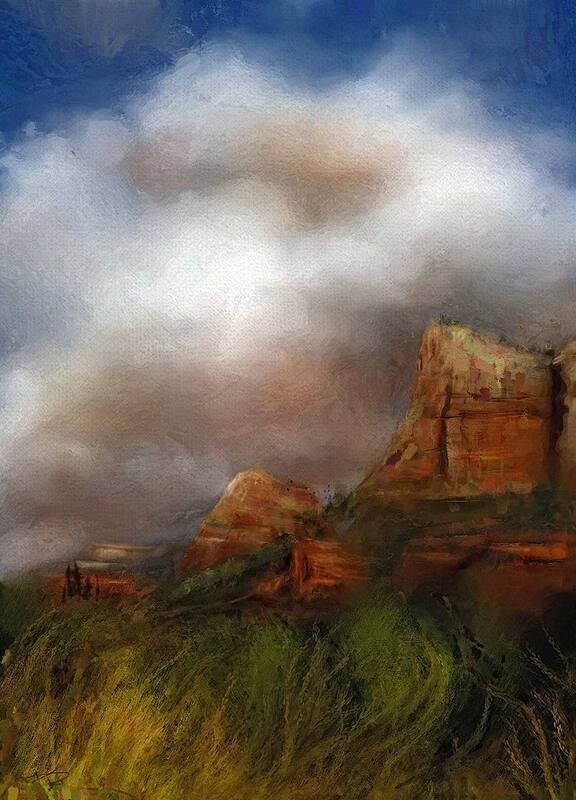 Artist and Digital Art Academy webmistress Karen Bonaker painted Sedona Canyon View utilizing John's Smart Brushes. "I started with a painting that I had just completed free hand and thought it may be fun to play with the brushes using it as a source. I started the cloning on four separate layers (using the Impressionable, Smart Oil, Smart Chalk, and Impasto Oil brushes) and then resolved each one until it all seemed to work in harmony. Finally added a layer and filled with a Canvas pattern. Wonderful brushes!" John's Smart Brushes come with installation videos for the different versions of Painter, as well as a tutorial video to help you get the most out of these interpretive brushes.